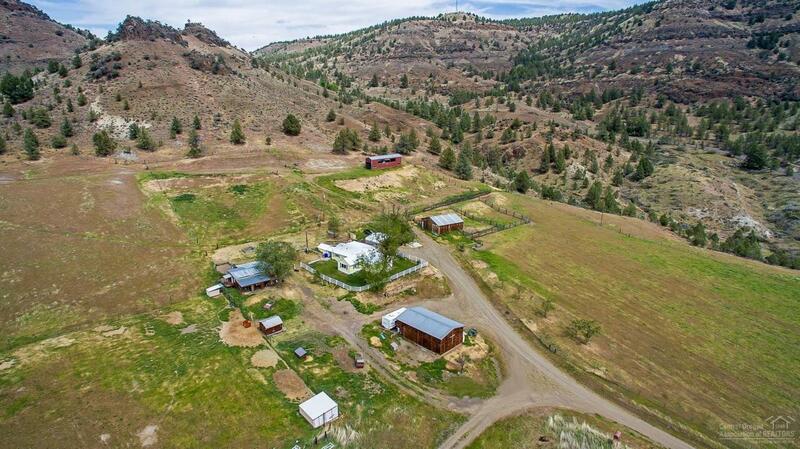 Nestled into the foothills of beautiful Spray, OR this 150+/- acre ranch boasts incredible views and a down home feel. The ranch home has been tastefully remodeled and has 2br/1ba, office, great room, mudroom and covered porch. Property has a large shop, barn and hay barn for all your ranch and livestock needs. Adjacent to the home is a one bedroom guest living quarters with a full bath. Elk and deer are abundant on this ranch.